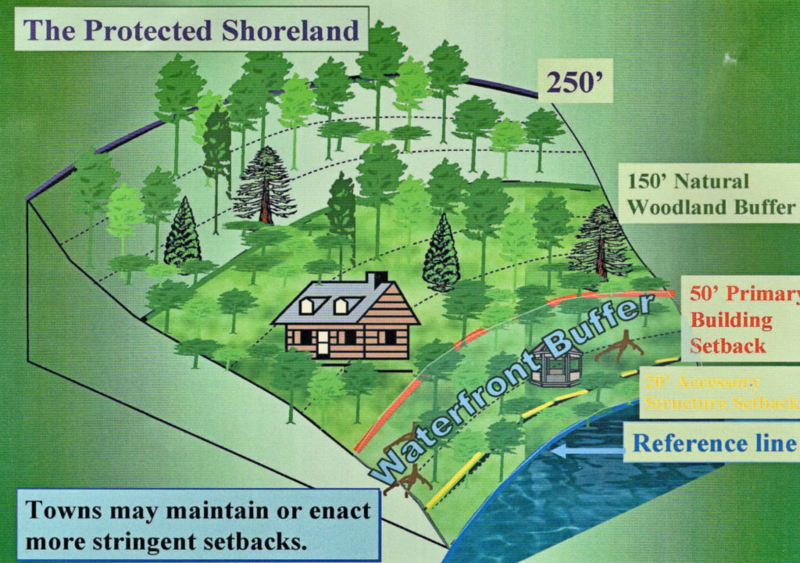 Brief Summary: The first 250 feet of shorefront land from the high water mark back is protected. No fertilizer or pesticides can be used within the first 25 feet. The first 50 feet is a no developing buffer zone. Tree cutting is regulated within the first 150 feet. For example, limbing and trimming is OK, but removal is strictly regulated. 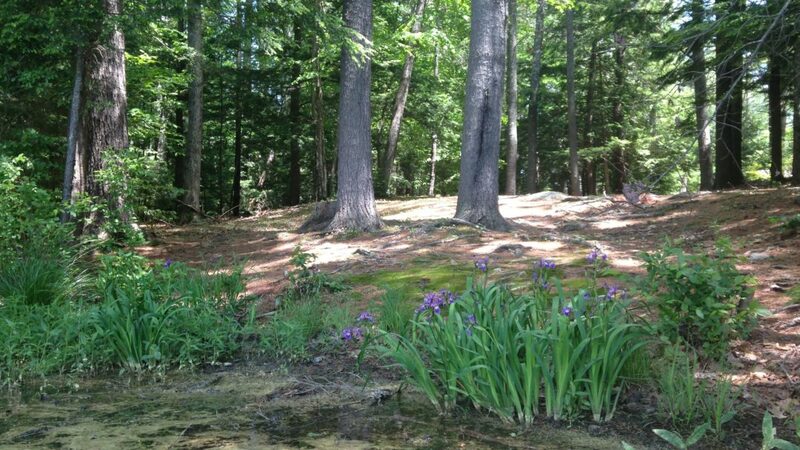 Purpose: Vegetation maintenance is a key component in preserving the integrity of public waters and is also a critical element of wildlife habitat. Further, it can more naturally manage harmful storm runoff. Beaches and Sand: This is pertinent to all waterfront property—a wetlands permit is required before any sand can be dumped or work started. This also includes replenishing beach sand. Work completed without a permit may result in a removal and restoration order, and possibly fines.